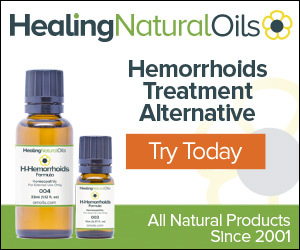 Developed by Healing Natural Oils, H-Hemorrhoids is a natural solution to heal Hemorrhoids . Healing Natural Oils has been manufacturing and selling all natural remedies since 2001. H-Hemorrhoids works by penetrating the cell membrane of the hemorrhoid. The oil quickly reduces itching, inflammation, redness and pain. It does so by using specially blended essentials oils, which each have specific and effective natural properties.